The Detroit River system has experienced significant impacts since European settlement, but especially since the dawn of the Industrial Revolution. Coastal wetlands have been filled in, the river bottom has been dredged, ecosystems have been fragmented, and pollutants have accumulated. Belle Isle State Park has long been considered a treasure to southeast Michigan, especially the city of Detroit, but it wasn’t until recent decades that people really understood the true significance of this open park land’s natural resources. This presentation will share a couple of the many habitat re-creation stories in the park. This includes the reconnection of 65 acres of historic coastal wetland habitat to the Detroit River, the installation of 5 acres of Detroit River reef spawning habitat (targeted for over 17 fish species), and 5-acres of nearshore fish nursery habitat. Andrew’s vision is to create landscapes that provoke interest in natural processes and to re-connect people with the environment. He has a passion for integrating habitat into the built environment as well as the incorporation of art and ecology. 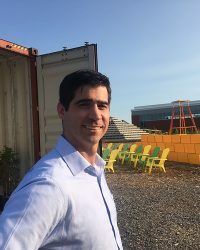 His experience as a designer and technical team leader includes projects oriented towards green infrastructure, ecological restoration/mitigation, and brownfield redevelopment. Beyond his professional work, Andrew is currently serving his fourth year as the chair of the Belle Isle Conservancy’s Natural Resources Committee and is in his third year leading a sustainability task force for SmithGroupJJR. 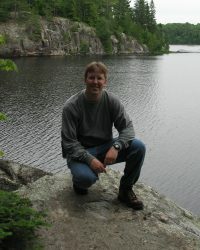 Glen is the ecologist for the Michigan DNR, Parks & Recreation Division. Since starting this position in 1999, he has focused on ecological restoration planning and management of natural features within Michigan’s 300,000-acre state park system. Glenn earned his BS and MS degrees in Natural Resource Ecology and Management from the University of Michigan, and is a Certified Ecologist through the Ecological Society of America. He is also certified as a Prescribed Fire Burn Boss through the DNR. Ongoing projects include the restoration of native ecosystems such as lakeplain prairies, Great Lakes marshes and shorelines, open dunes, oak barrens, prairie fens, oak-hickory forests, and northern hardwoods forests in a range of highly urban to remote wilderness state park settings.